No Drain Bowser is FASTER, CLEANER, or SAFER! 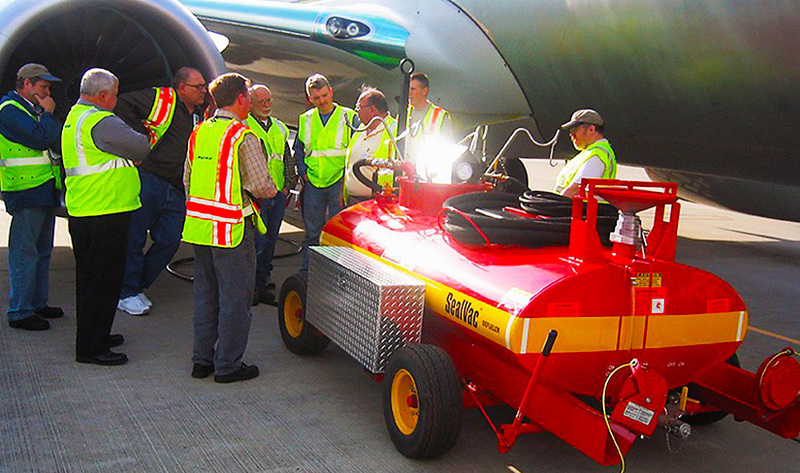 The SealVac® Vacuum Fuel Drain Bowser from Spokane Industries® is the innovative aircraft vacuum fuel drain bowser that is FASTER, CLEANER, and SAFER than you ever imagined. 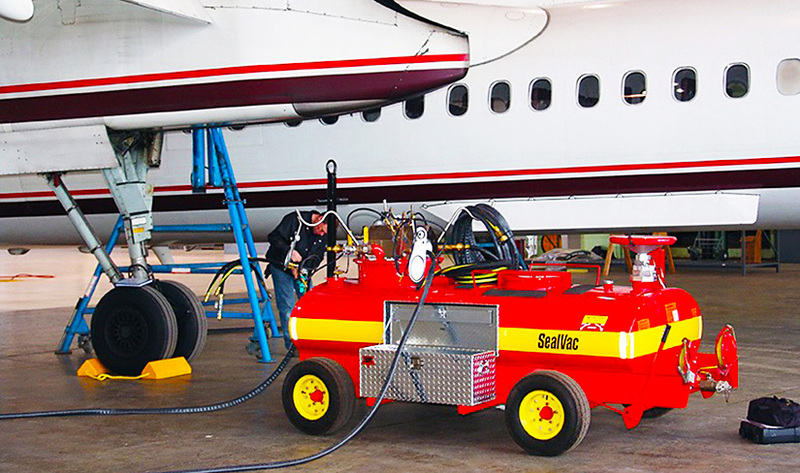 The SealVac Vacuum Fuel Drain Bowser quickly and safely slashes fuel draining and depuddling times from hours to minutes so aircraft maintenance can proceed without delay. 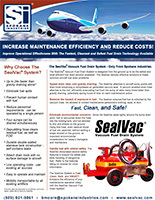 The SealVac speeds fuel maintenance like nothing else! 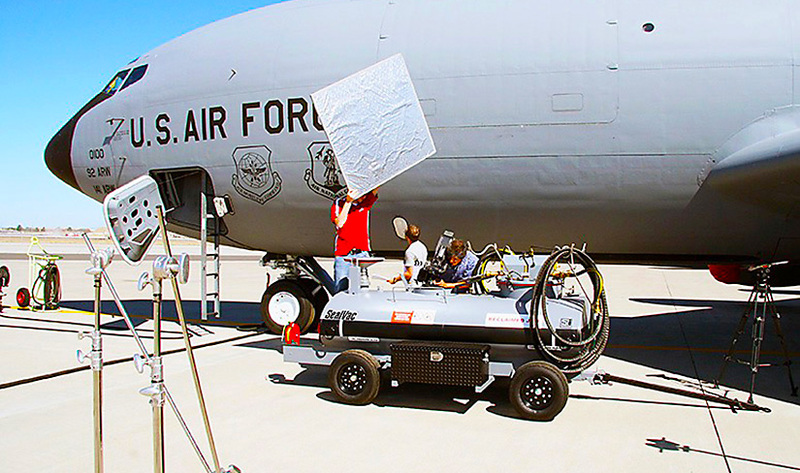 The SealVac operates from an external compressed air source. 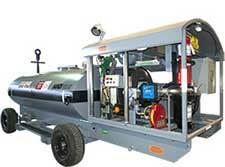 Tank and tool vacuum is generated onboard using this compressed air. No moving parts to break or maintain. 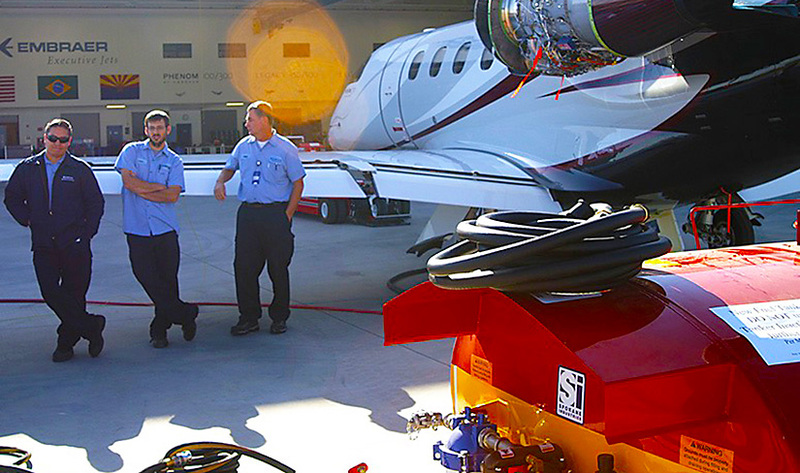 The patented SealVac Fuel Drain Bowser vacuum tools seal to the aircraft sump or drain points, preventing aircraft fuel from going anywhere but down the vacuum hose into the tank. 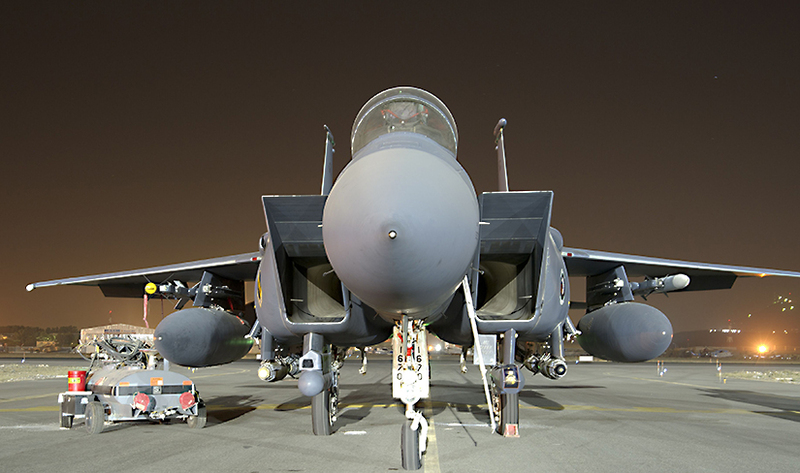 It does this without damage of any kind to the aircraft surface. 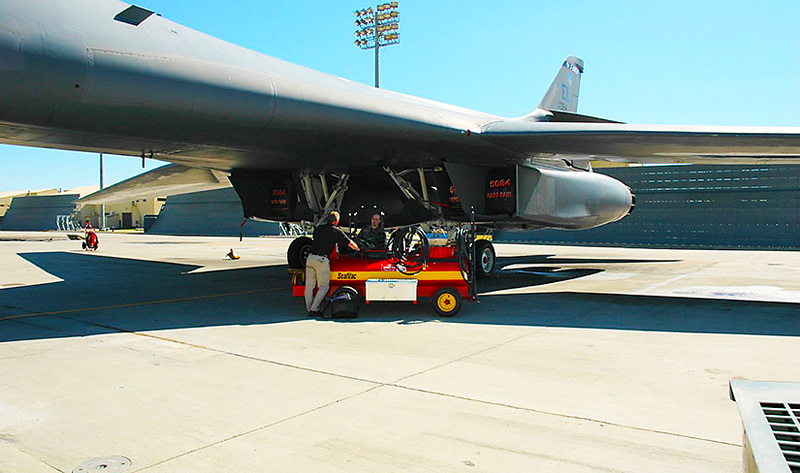 – Maximize fuel-handling safety by significantly reducing human contact with fuel. 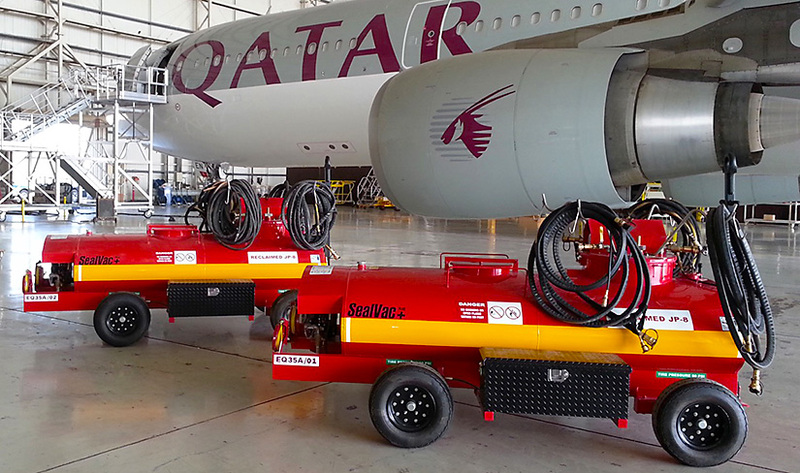 In fact, it is common to drain an aircraft without spilling a single drop of fuel when employing the SealVac. 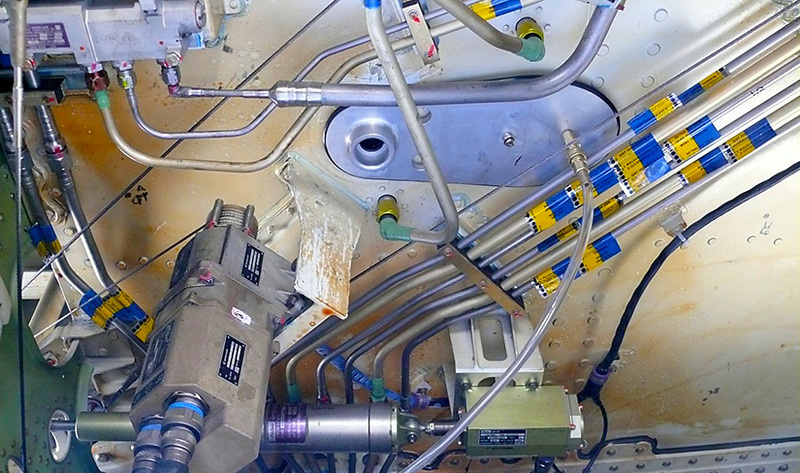 Safety features abound: Aviation grade static dissipating hoses, overflow shutoff, bonded/grounded chassis, and double-walled tank. 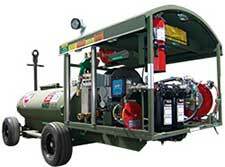 – Eliminate environmental hazards. 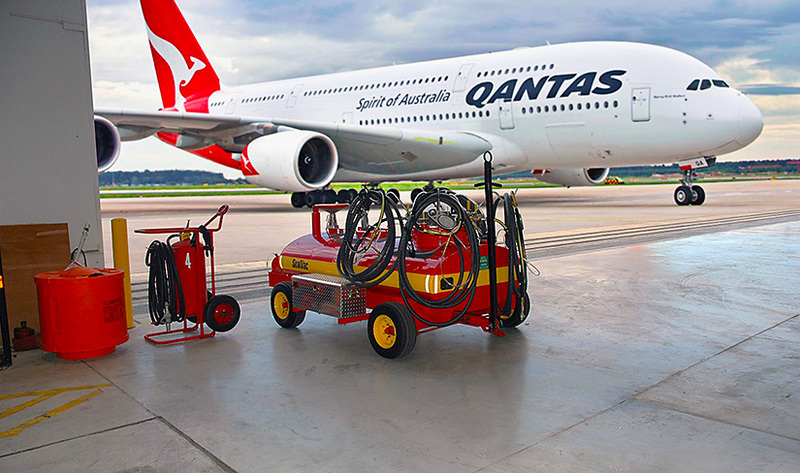 Fuel goes down the hose–not on the ground. The SealVac stainless steel tank is double walled for self-containment. 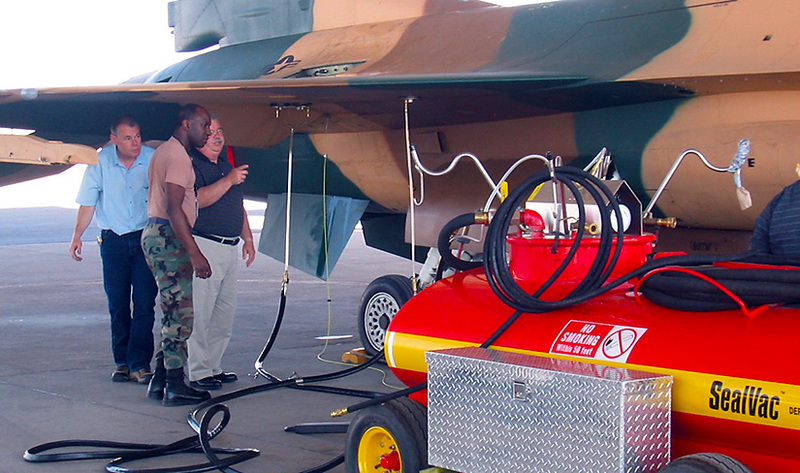 The SealVac Aircraft Defueling Bowser system is fielded and in daily use at hundreds of locations including US military bases, airports, airline maintenance hubs, aircraft manufacturers (Boeing, Airbus, Lockheed-Martin, Northrop-Grumman, Embraer, Sikorsky, and Eurocopter), and MROs worldwide. 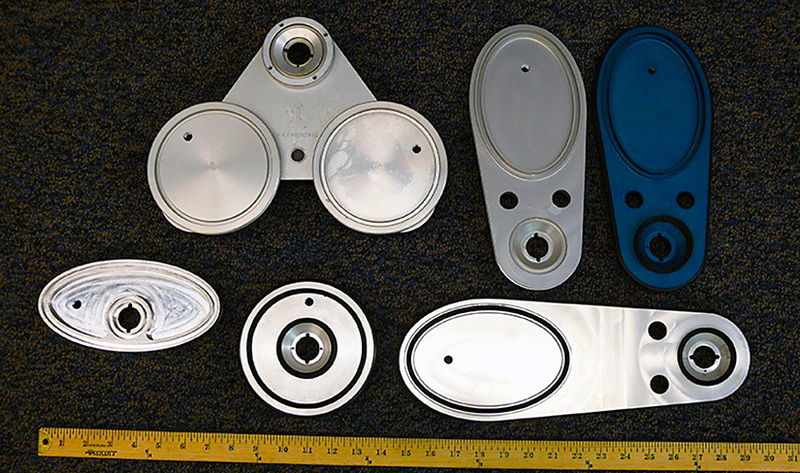 It is in use on most major airframes, and can be easily fitted to addtional models. 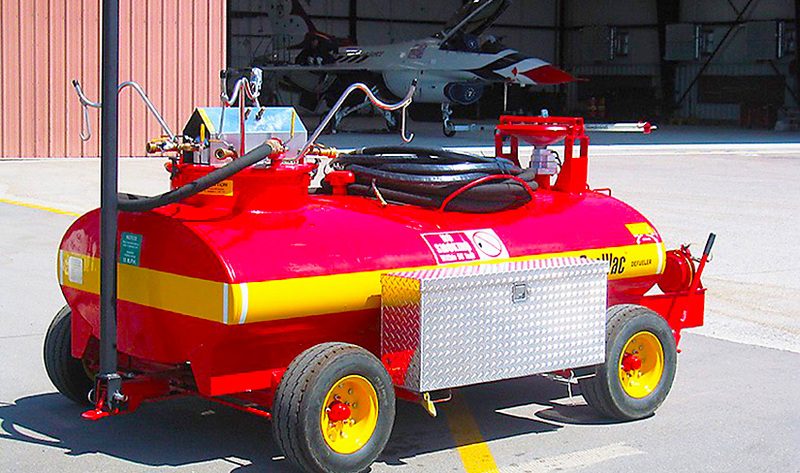 If fuel reuse or recycling is a priority, we offer the upgraded SealVac Plus+ fuel bowser model with pneumatic pump and aviation-grade coalescer filter. 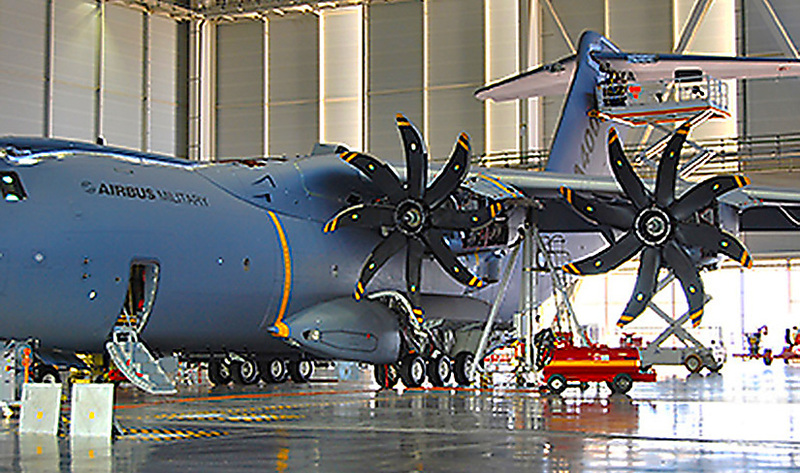 Uses include recycling filtered fuel back into aircraft, diesel vehicles, or ground support equipment. 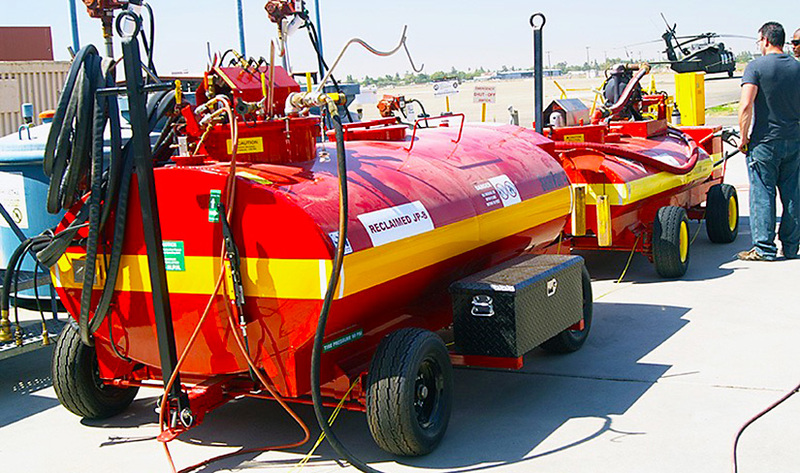 Organizations that have fielded the SealVac Plus+ fuel bowser are enthusiastic about the fuel reuse or recycling opportunity, and the money saved that accompanies this feature. 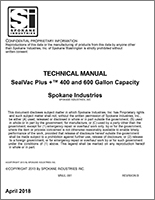 The Sealvac and SealVac Plus+ is available in 200, 400, and 600 gallon sizes direct from Spokane Industries, Warner-Robins Air Logistics Depot as an equipment item, or through GSA contract. 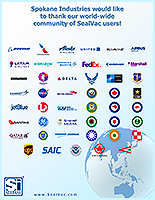 The SealVac is CE marked for use at European facilities. Contact Spokane Industries today for more information. 〉 how is a SealVac Plus+ different? 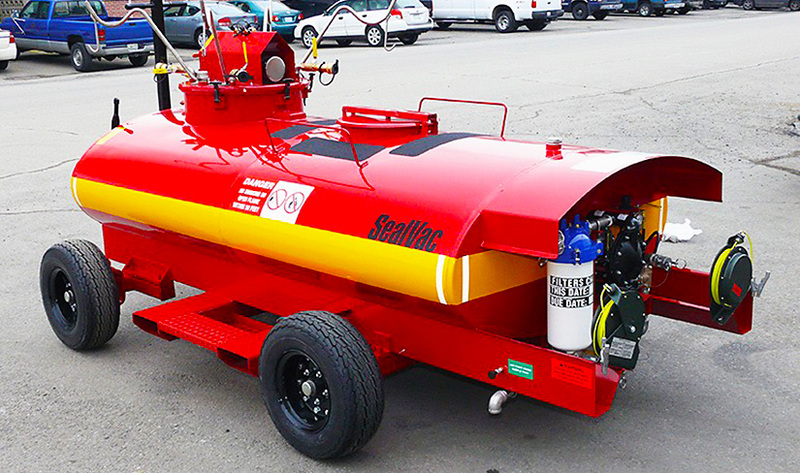 The SealVac Plus+ Fuel Drain Bowser was designed to meet the needs of today’s “Do More With Less” mindset, while allowing a precious resource to be recycled and reused. The Plus+ model has several key feature additions over the basic SealVac. 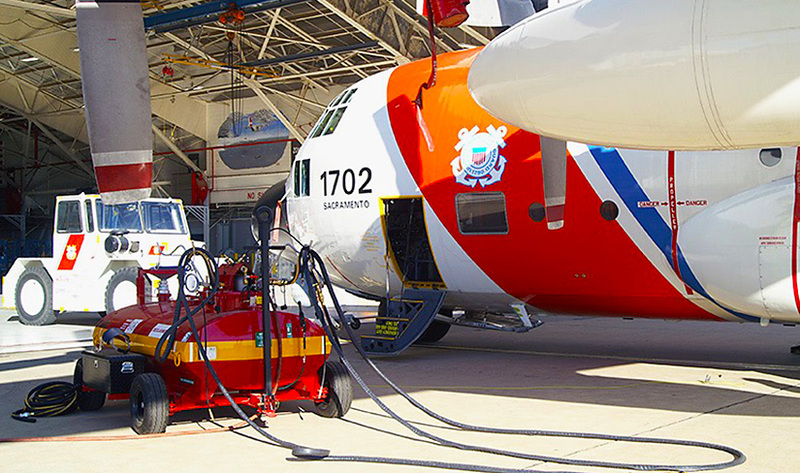 Filter removed fuel with aviation grade filtration technology: The SealVac Plus+ offers an aviation grade coalescing filter element. 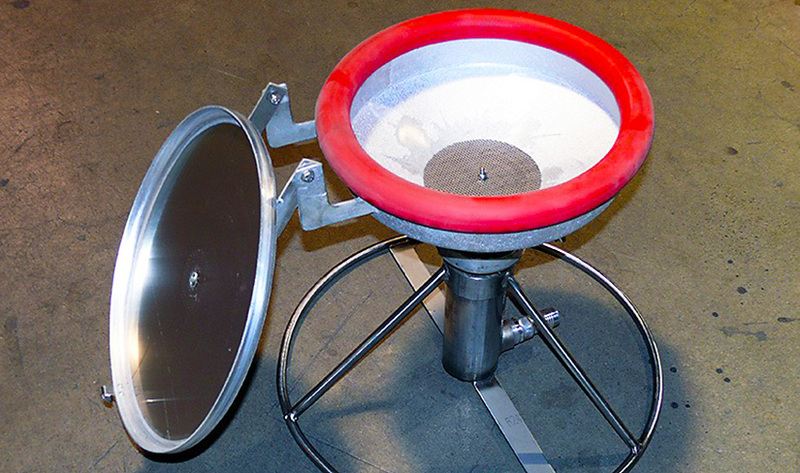 This filtering system remove particulates and water from the reclaimed fuel. 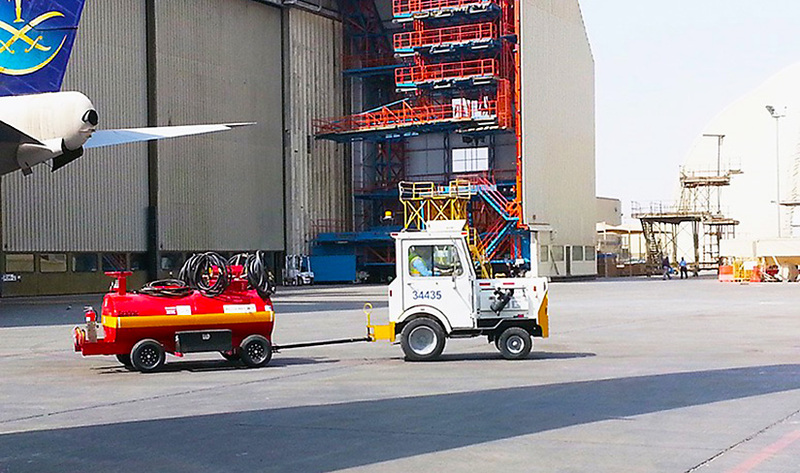 Secondary filtration (fuel drying monitor type) available as an option for even cleaner fuel. Multi-use pneumatic diaphragm pump: The Plus+ model features a rear mounted diaphragm pump that operates off the same air source as the SealVac vacuum generators. 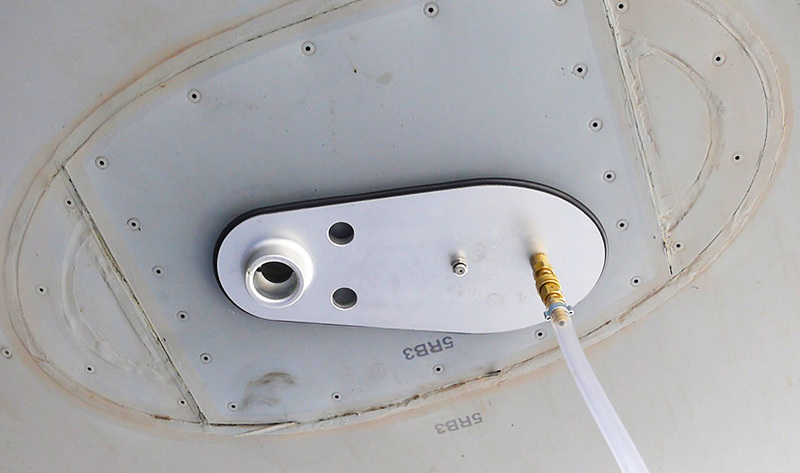 This pump enables filtered fuel transfer at 20 GPM into equipment or another tank, even with the SealVac Vacuum Drain System in concurrent operation. 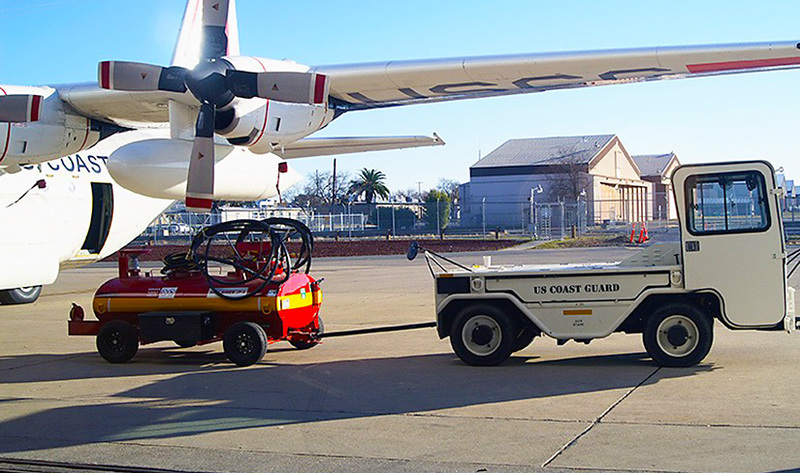 Additionally, the pump platform can be easily configured to filter and dispense JP8 or diesel fuel to an external source such as vehicles or ground support equipment. Or, the diaphragm pump can simply make transfering used fuel from the SealVac holding tank to barrels or other waste fuel disposal containers. 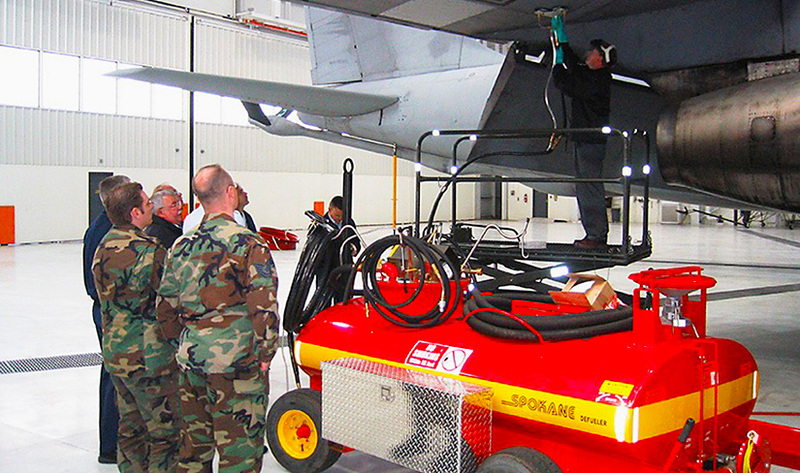 The Sealvac and SealVac Plus+ is available in 200, 400, and 600 gallon sizes direct from Spokane Industries, Warner-Robins Air Logistics Depot as an equipment item, through DLA procurement channels, or through GSA contract. 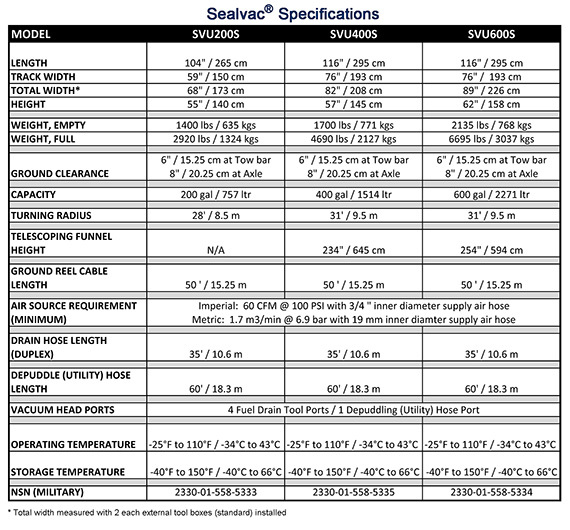 The SealVac is CE marked for use at European facilities. 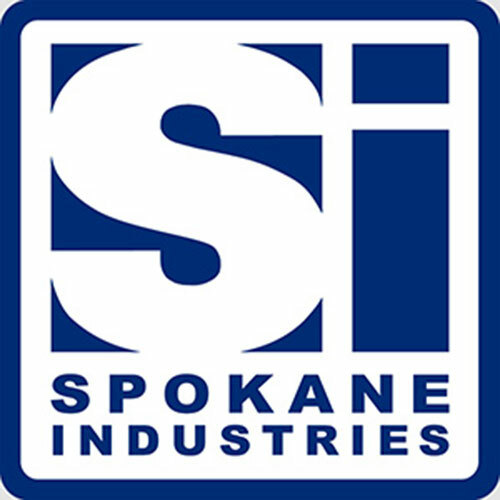 Contact Spokane Industries today for more information. 〉 why do we need SealVac? 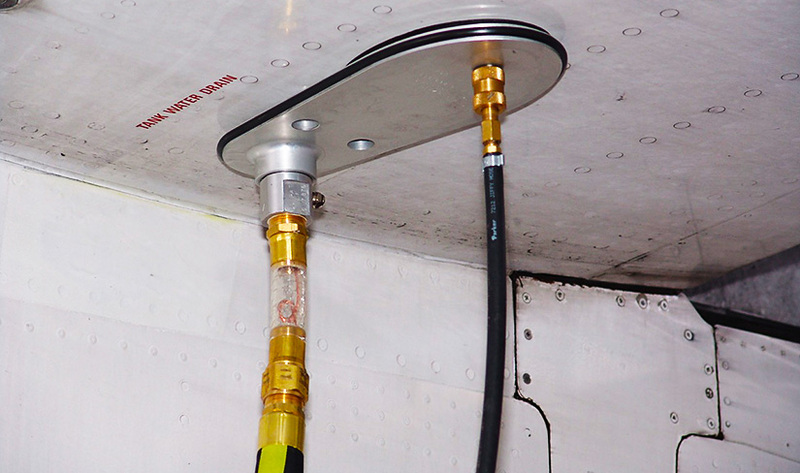 The SealVac Fuel Bowser attaches to aircraft sump points with supplied drain tools employing a compressed air generated vacuum seal. 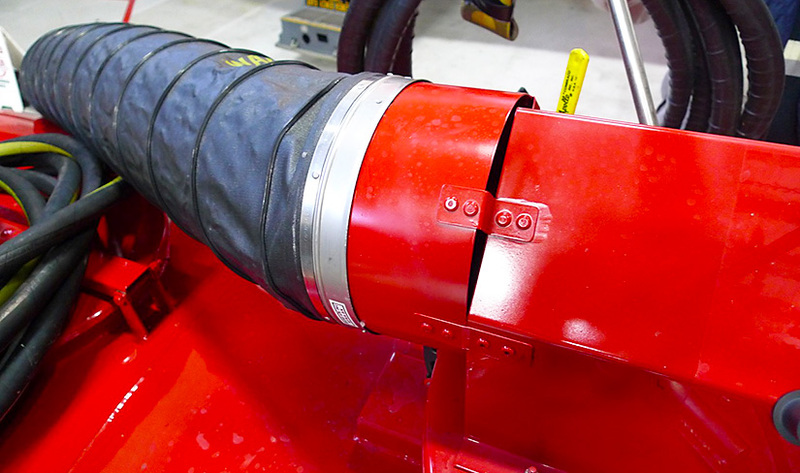 A vacuum enabled drain hose attaches to the tool, efficiently evacuating fuel from the sump at rates many times faster than gravity draining, potentially saving hours of time on each maintenance action. 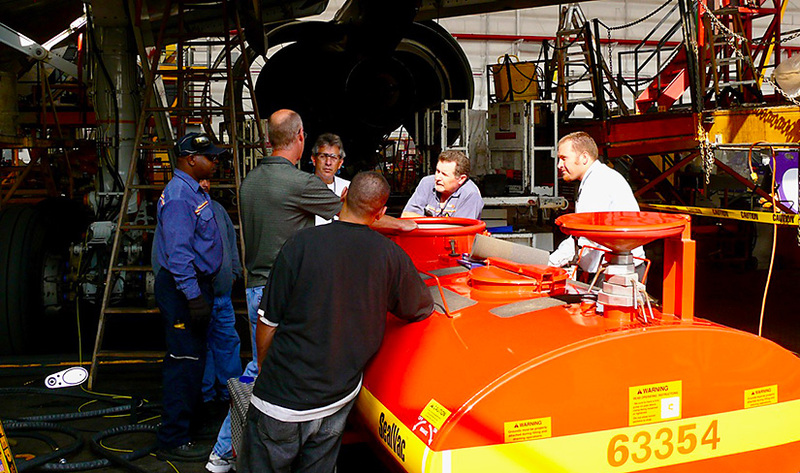 Our customers tells us the SealVac is about 80% faster than other methods using gravity draining. Typical fuel drain rates are around 10 - 12 gallons per minute - this is per drain hose, of which the SealVac can handle as many as 4 at a time! Compare that to gravity draining, which can be a little as 1/2 gallon per minute. 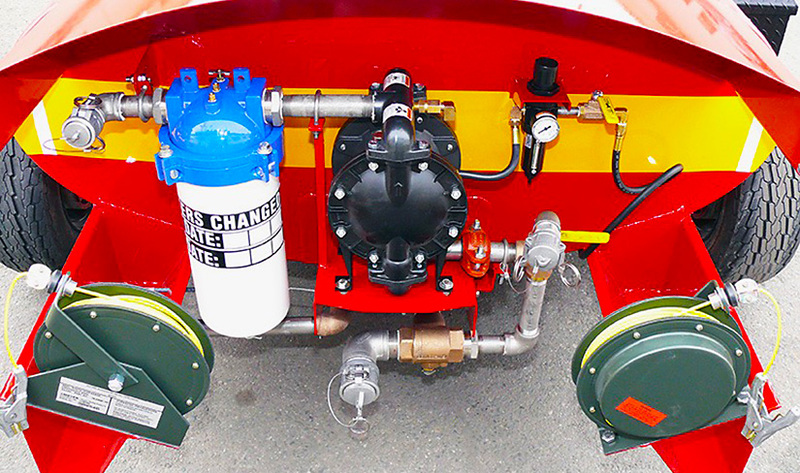 The SealVac bowser drain tools seal tightly around fuel sump drain points. 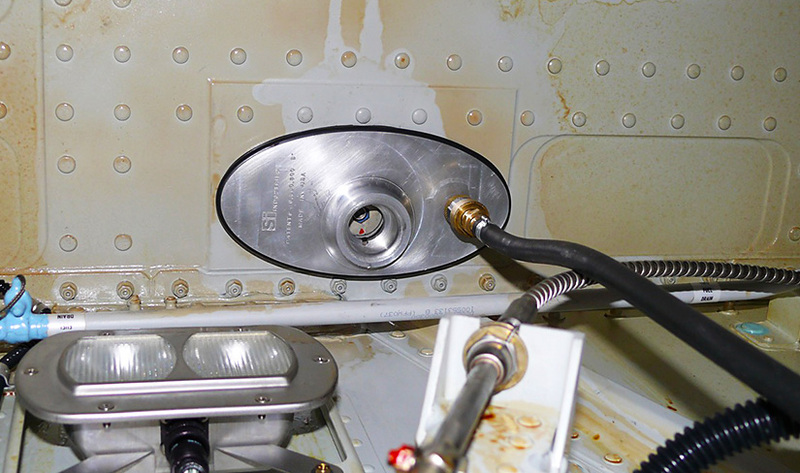 Fuel is vacuumed down the hose into the double-walled stainless steel holding tank, and not allowed to drip and dribble on the ground. 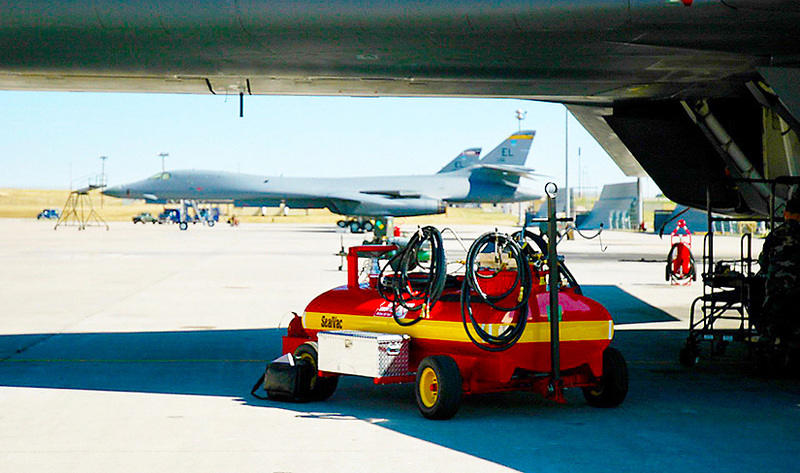 Using the drain hose assembly, even residual drops of fuel are captured, without spill a single drop on the ground - an important environmental consideration for today's managers and maintainers. 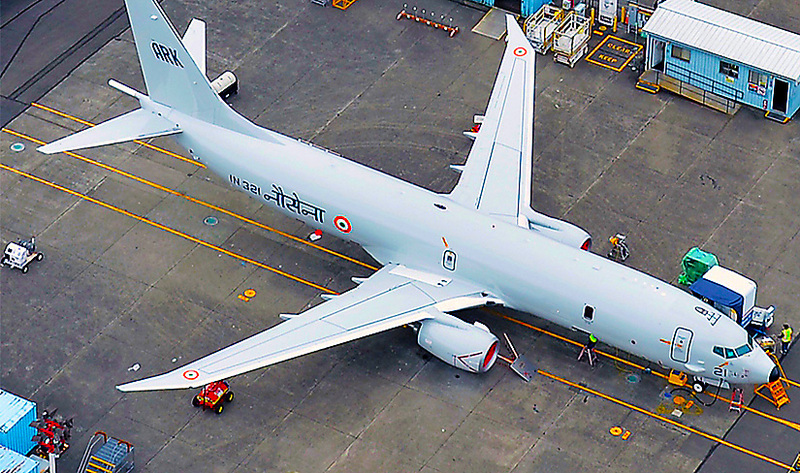 Exposure to aircraft fuel of any kind is not good for one's health. 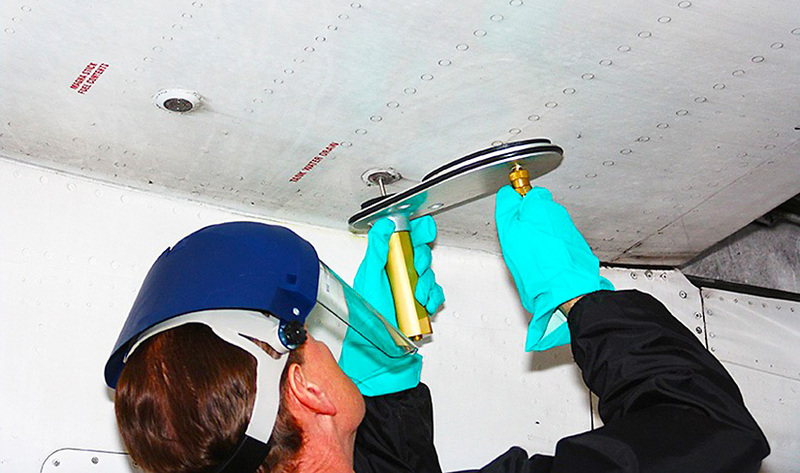 The gravity method of draining an aircraft fuel tank is a dirty job. It is almost impossible to open a sump and get out of the way without getting some personal fuel exposure. 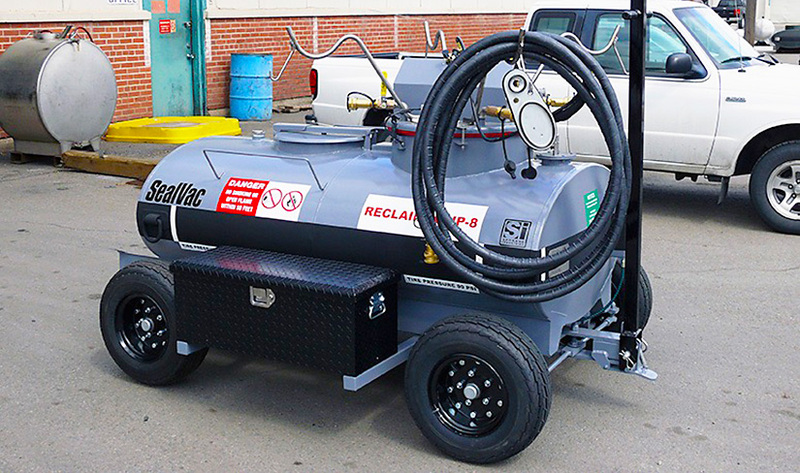 The SealVac vacuum fuel drain bowser can truly make routine exposure to fuel a thing of the past and allow the maintainer to complete the job of prepping a tank for maintenance without exposure to fuel. 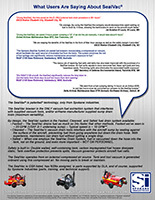 The SealVac system is the solution you have been looking for! 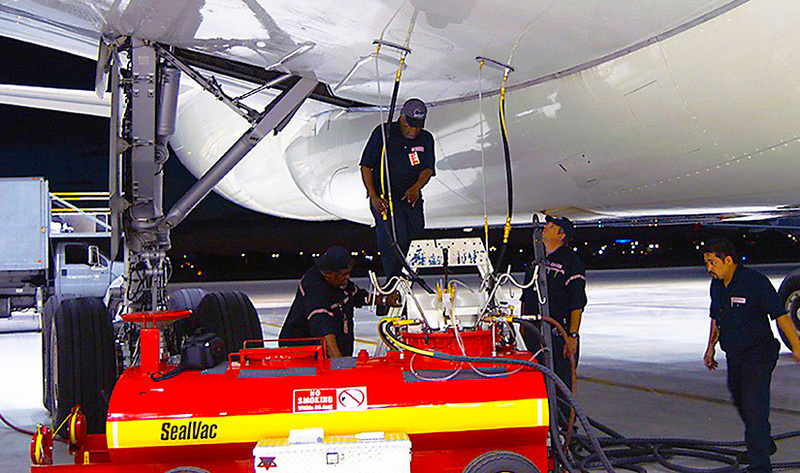 Using the SealVac, you can eliminate personal exposure to aircraft fuel when performing maintenance requiring sump draining! We recommend using the SealVac manual and online training videos before using the equipment for the first time. 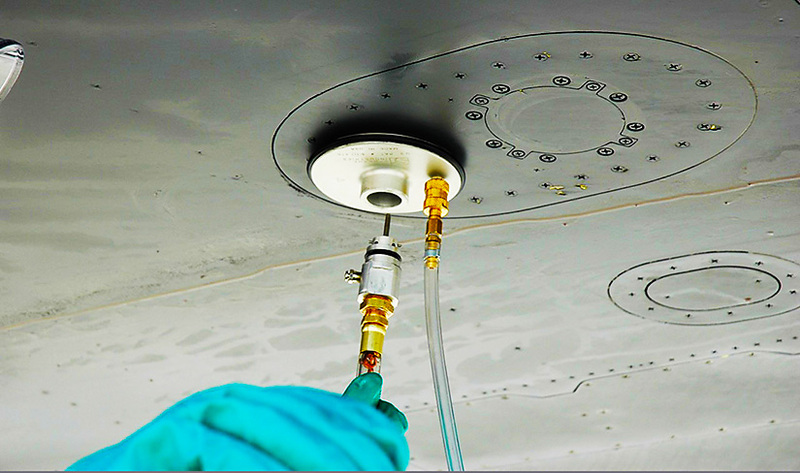 Within a short period, your maintenance team will be proficiently draining fuel from aircraft, often without spilling a single drop of fuel! 80% FASTER fuel draining is in reach! 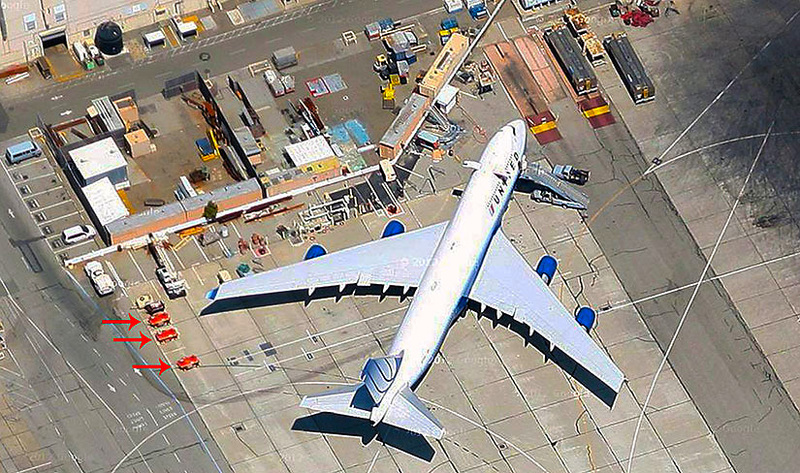 Stop waiting around and get the plane flying again! Using SealVac System: 2 HOURS! *Observed flow rates are dependent on many factors including fuel volume, aircraft make/model, sump size, air source pressure/volume, and others. Stated flow rates are typical, but may not be realized in all situations. 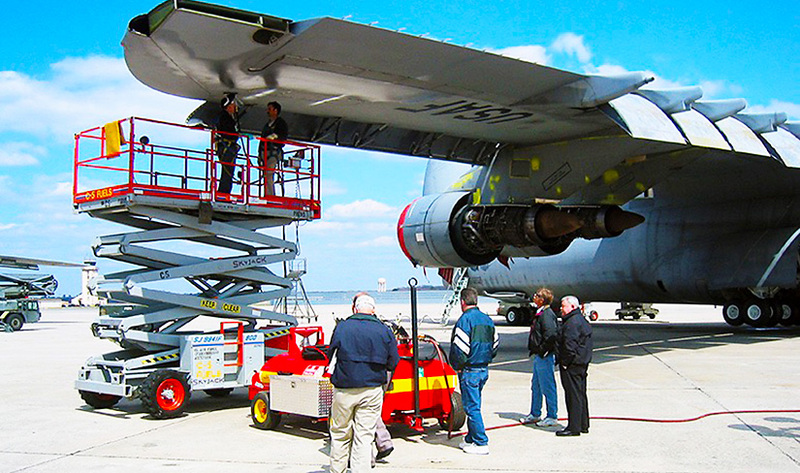 "[Using SealVac], the time saved on the [C-130J] external tank drain procedure is 20+ hours." 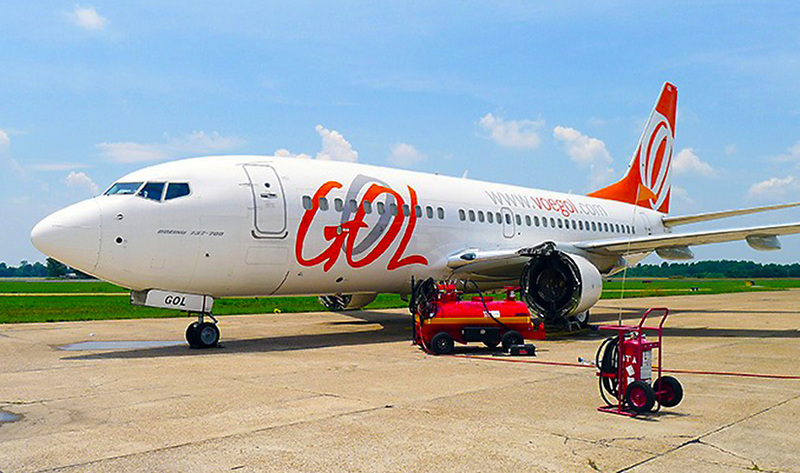 "On average, [by using the SealVac] the company would decrease time spent waiting on fuel to drain by 4 times, allowing the technicians to work on the aircraft much faster." 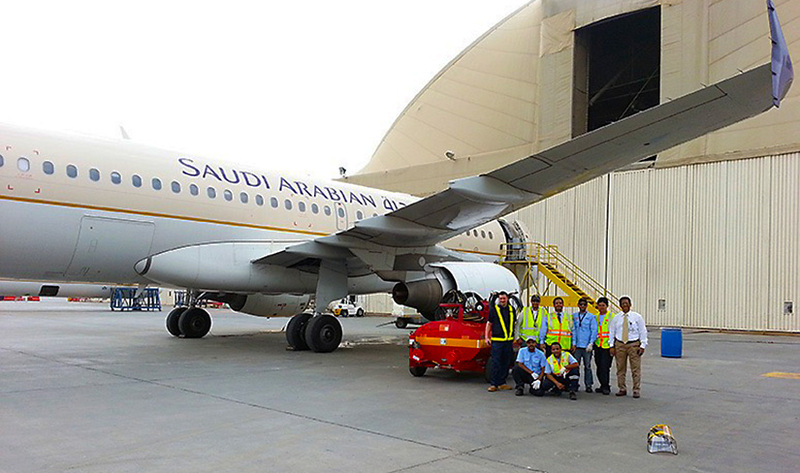 "[Using the SealVac], we spend 2 hours power sumping a 747. 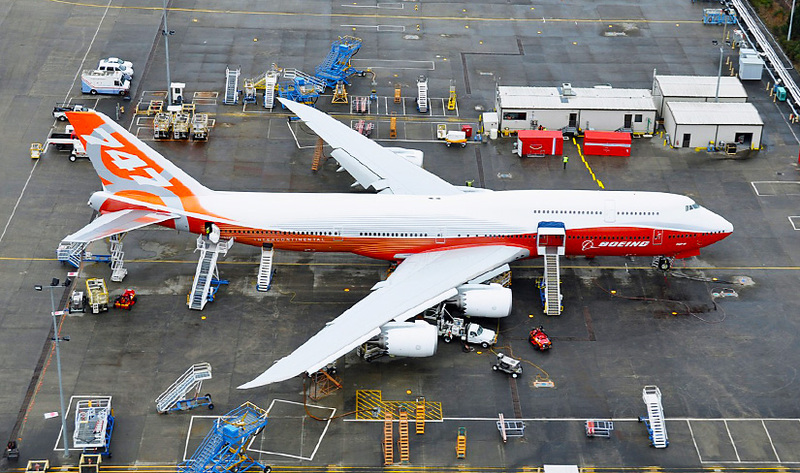 If we did the job manually, it would take about 6 hours." "We are reaping the benefits of the SealVac in the form of man hour savings as well as the safety margin it provides." 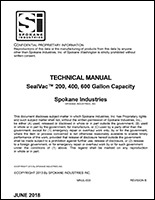 "The Spokane [SealVac System] are sealed fuel bowsers incorporating a compressed air vacuum, which facilitates the rapid removal of drainable fuel from the tanks. 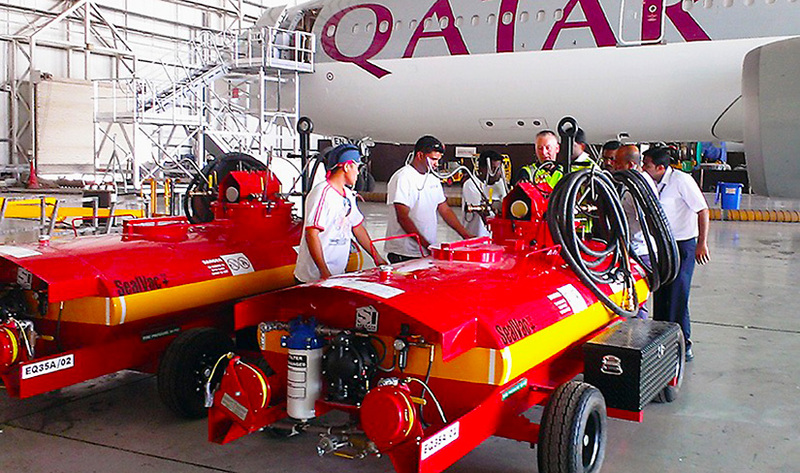 The system minimises the risk of fuel spillage and significantly reduces maintenance personnel’s exposure to fuel." 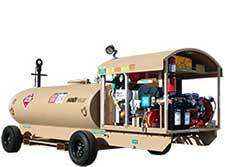 "The messy job of repairing fuel cells and tanks has also been improved with the purchase of a SealVac bowser. 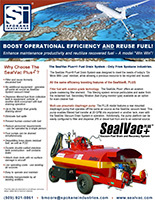 No fuel spills equate to more recovered fuel, fewer spill pads, and less hazardous waste. Preventing spills also eliminates the associated health exposure." 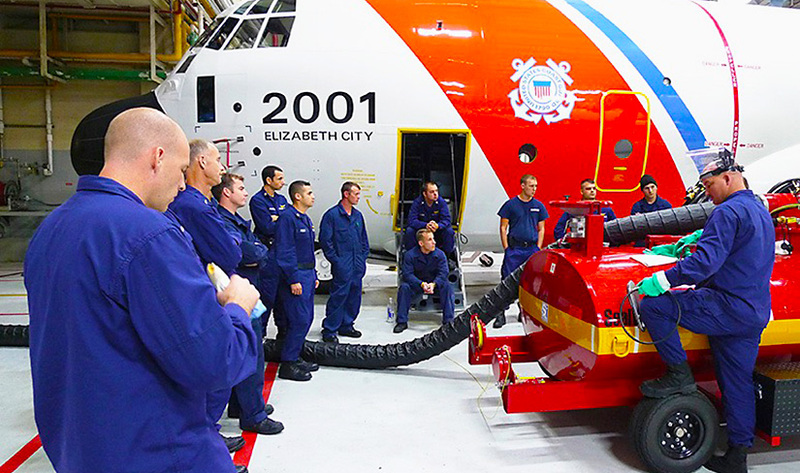 "[On RAAF C130 aircraft, the SealVac] significantly reduces the time taken to vent the tanks from three days to just two hours from tank opening." 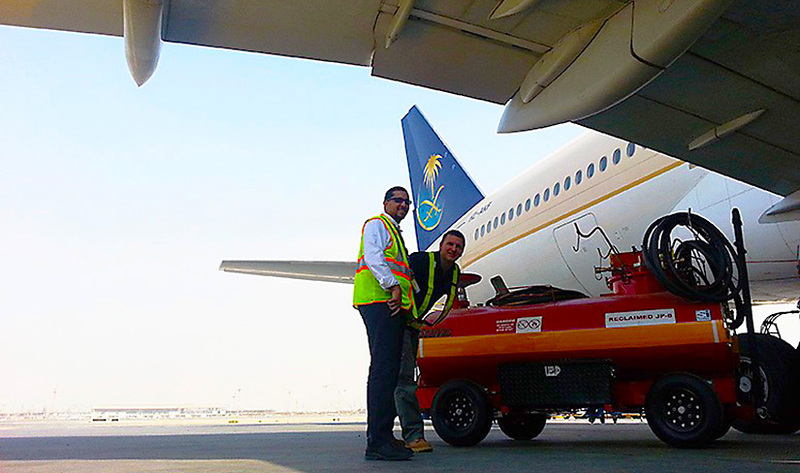 "We went from a fuel sumping taking 14 hours on an Airbus A330, to just two hours once we converted our process to the SealVac bowser." 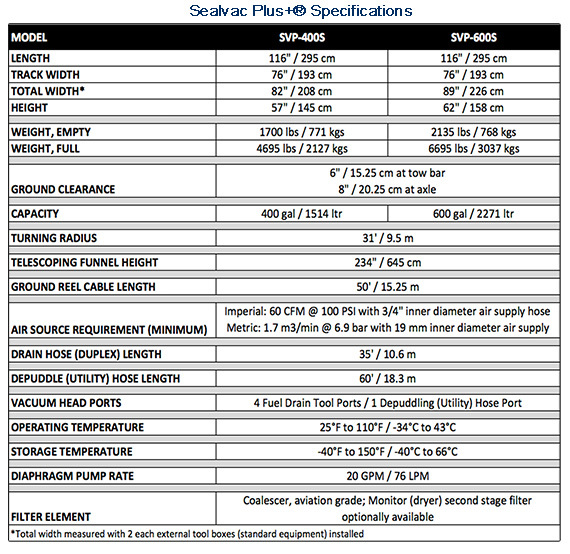 The SealVac is offered in two models: SealVac and SealVac Plus+. 〉 get SealVac Parts or Support.